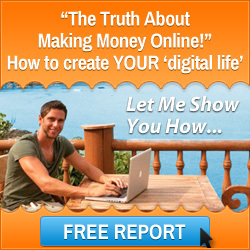 Have you got the entrepreneur skills to become a successful online business owner? In this article Mark Ford shares some of the main entrepreneur skills sets that are needed by anyone who has aspirations of becoming a successful online entrepreneur. So do you see yourself as a budding entrepreneur who has always wanted to go it alone and start your own business? For many people it is an ambition to have their own company, something that evolves from a seed that has been sown in their minds. They have an an idea and a vision for what they want to achieve and are hell bent on making it happen. You may be able to relate to this but there is more than that to becoming an entrepreneur. 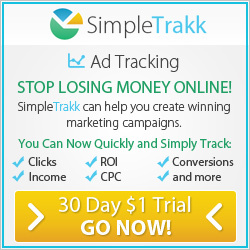 I myself am an entrepreneur and have been a home business owner for over 20 years now. I also have the honour and privilege to work with hundreds of entrepreneurs within an elite mastermind group which I lead for an online business training academy. The calibre of people that come through the academy is mind blowing and they all have many things in common. They possess the entrepreneur skills sets needed to become highly successful individuals and online business owners. Which has led me to come up with the common entrepreneur skills that I see day in and day out and I would like to share them with you to see if you too have the traits to become successful. Entrepreneurs tend to be highly motivated and focused people. They will not stop until they have achieved what they set out to do. Also they are very enthusiastic and are not afraid to take a risk with the resources that they have. They are constantly thinking about their business and how they can make it better but tend to be quite impatient if things do not go ahead at the speed that they were expecting. However, it is not a race, it is a marathon. Unlike employees, who tend to lean on the people who are above them, entrepreneurs are leaders and if necessary they will work on their own and adopt many different roles within their own business. Entrepreneurs are not risk adverse, if anything they feed on taking risks. Starting a new business venture is a risk all in itself but they are prepared to cross the line and continue to take risks in their business to attain maximum success. They have a clear vision of where they want to take their business and can see the bigger picture. Without having a vision it is very hard to determine what direction you want to take in the long term. Entrepreneurs are open minded to try new things. This does not affect the vision that they have but they realize that sometimes you have to make changes to achieve the goal that they have set themselves. If a decision has to be made then entrepreneurs have no trouble making a clear and concise decision. Also they stand by the decision and take ownership of it and do not apportion blame onto anybody else. Are you ready to test and develop your entrepreneur skills? – Yes, Mark I am. 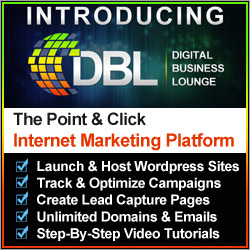 For a limited time an online business educational organization that I am a member of has a very special offer which I think would be perfect for you to see if you have what it takes to become a digital entrepreneur. The company is called the Six Figure Mentors and the owners of the company are two highly successful digital marketing entrepreneurs who have all the entrepreneur skills that I have shared with you, along with a host of others that you could learn through their training and mentoring programs. 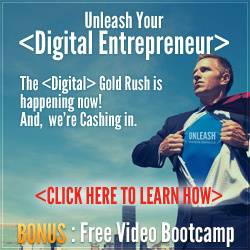 Click on the image below to gain access to a highly valuable digital marketing video training series and learn more about how to become a successful digital entrepreneur. You will have many of the entrepreneur skills already inside yourself but they may need to be nurtured so that you can fulfil your true potential in life. The video training series and the resources that the Six Figure Mentors can offer will give you the best chance to achieve the success you are looking for so register today to get started. I wish you every success in running your home business from anywhere in the world and bringing out your entrepreneur skills. This entry was posted in Personal Development and tagged entrepreneur skills, mark ford. Bookmark the permalink.